Hi Lovelies. If you’ve ever limited yourself to only wearing florals in the spring and summer, don’t! Florals are a beautiful unexpected touch to the cooler and colder months because they infuse a prettiness to what is usually more practical stuffy dressing and I don’t know about you but I’ve never seen an eskimo in florals, just saying. 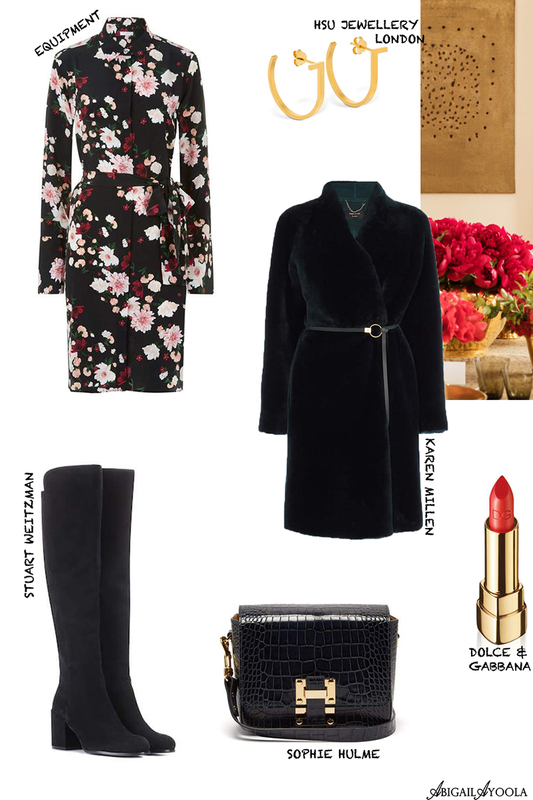 Taking some inspiration from my latest outfit post, I’ve taken a slightly different floral dress and given you some inspiration on how to style it for even chillier days, because cold and stylish can belong in the same sentence. Enjoy!